State Lawyer: 38 Studios Assets "Being Eaten Up"
Rhode Island's full senate will soon vote on a bill that encourages out of court settlements as a way of hopefully making its money back from the 38 Studios fiasco. Legislation to make it easier for defendants to settle out of court in Rhode Island Commerce Corp's case against 38 Studios is due before the state's full senate in the near future. Lawyer Max Wistow, representing Rhode Island Commerce Corp, encouraged the new bill due to 38 Studios' recoverable resources "being eaten up very rapidly," according to The Associated Press. The new law would protect any party in the case who settles with Rhode Island from future lawsuits filed by any of the co-defendants. The bill will also allow the state to maximize its potential financial recovery from 38 Studios, Wistow said. Rhode Island proposed the new law earlier this month. Wistow commented in the Providence Journal that similar proposals helped Rhode Island move along litigation in the 1990s and 2003. The bill already passed a hearing and vote from the Senate Judiciary Committee on Thursday. "It's no secret among the defendants that we are seeking this. Some defendants are very eager to see this pass," Wistow told the Journal. 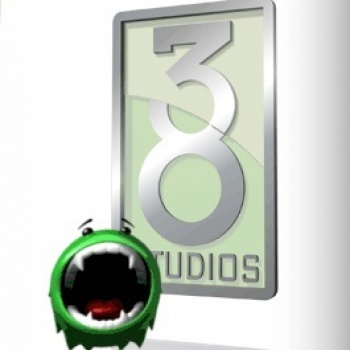 38 Studios is on the line for a $75 million loan the state gave it for moving the company to Rhode Island in 2010. The studio, founded by former Boston Red Sox pitcher Curt Schilling, shut its doors less than two years later, leaving Rhode Island with the unpaid tab. The company's only game, Kingdoms of Amalur: Reckoning was released in early 2012.